TECHNIDATA announces the launch of version 13.41 of its TDHistoCyto software solution for anatomic pathology laboratories. This version has a new interface, and additional functionality that allows laboratories to benefit from real paperless processing. Patient safety is enhanced, the risk of errors reduced, and process traceability streamlined. Laboratories gain in efficiency and productivity, and the workflow is optimized. Rapid Process Tracking is one of the main features of this new version. Combined with the use of barcode readers in the laboratory, TDHistoCyto now provides comprehensive, and fully integrated, workflow traceability. “The technical preparation stages in the lab are labor intensive. Other stages have been computerized by the Laboratory Information System (or LIS), but preparation of the blocks and slides often still uses paper worksheets, or third-party solutions which add complexity to the computer system. The new TDHistoCyto version includes our fully integrated Rapid Process Tracking feature. The ability to computerize and track the preparation stage not only makes specimen identification more secure, thus reducing the risk of errors, it also speeds up the turnaround time for blocks and slides, and simplifies information searches. In fact, users can know at any time who did what and when. The solution runs on touch screens, again making the workflow more streamlined”, explains François TOURRES, Marketing Manager at TECHNIDATA. By providing full traceability of the technical stages, TDHistoCyto also helps in the laboratory accreditation process. The data from the preparation stages is managed by the statistics tool, another feature available with version 13.41. “The statistics tool allows laboratories to track and control their activities efficiently. They can define customized indicators, and carry out multidimensional extractions easily”, adds François TOURRES. TECHNIDATA’s final innovation in this version is an integrated tissue bank within TDHistoCyto. 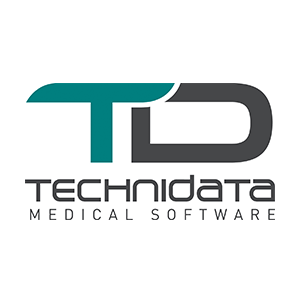 “TECHNIDATA solutions are highly interoperable, so TDHistoCyto was already able to interface with tissue banks and other third-party biobanks. 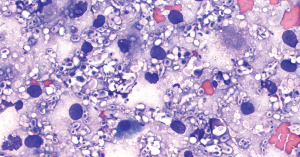 With an integrated tissue bank, however, laboratories can independently qualify and store their specimens for further diagnostic or research needs. This is increasingly important in the age of precision medicine“, concludes François TOURRES. These new features are major enhancements strengthening TDHistoCyto’s position as a global solution, providing paperless and fully computerized processes that meet the needs of anatomic pathology laboratories across the world.